During my recent sabbatical, I began a study of the herbarium at PEM to understand how the area's flora has been transformed over the centuries, and whether and how those changes are related to changes in our climate. 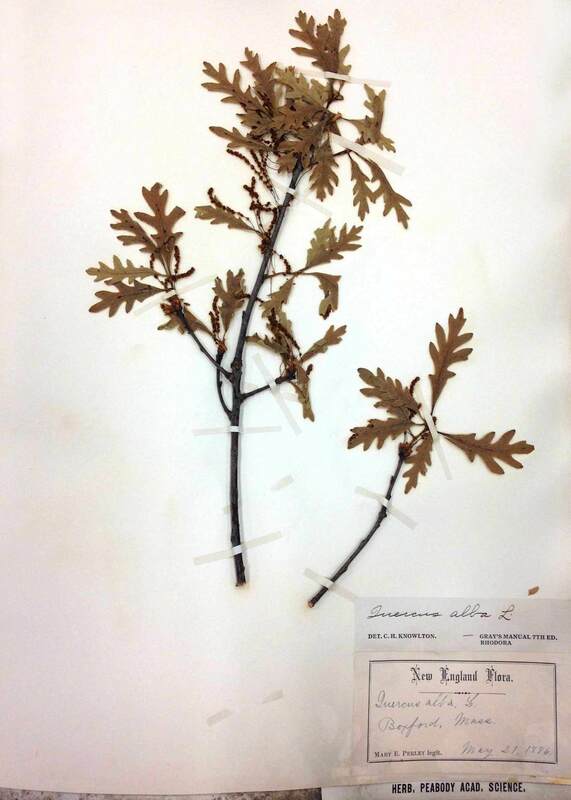 The PEM herbarium comprises approximately 8,000 labeled plant specimens, pressed and mounted on paper, collected mainly in 19th century Essex County. 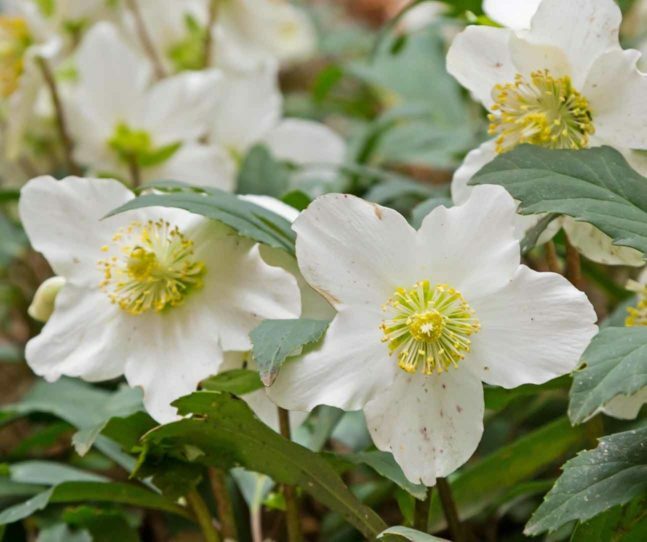 These include flowering plants, pines, ferns and related species. Mosses and algae are also found in the collection. Dr. Delissio leads a workshop at PEM for teachers on the topic of art/science integration. 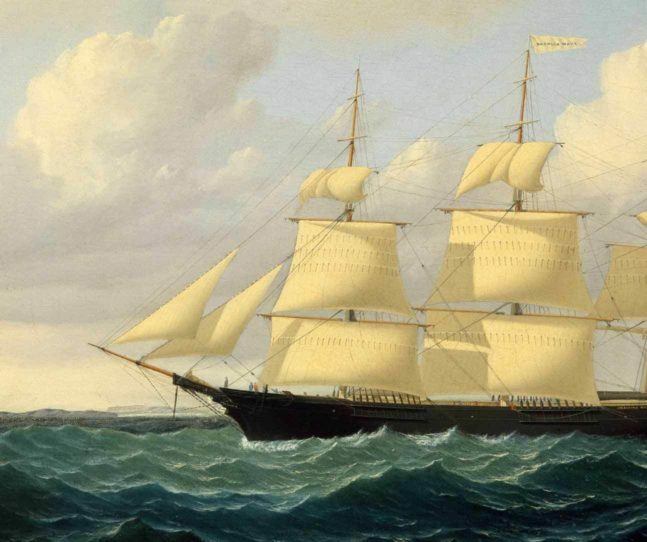 In the mid- to late-1800s, the study of natural history was a popular and serious amateur pursuit in New England. Natural history clubs were common, and amateur botany was so widely practiced that in towns across the region one could find shops selling the materials needed to press and dry plants. Dated specimens allow us to observe differences in the timing of events like leaf out, flowering and leaf-drop over many decades and can show shifting seasons – earlier springs or autumns that extend into what used to be winter. My research students deeply appreciate the wealth of scientific information represented by each labeled specimen, as well as the intersection of science, art, and history demonstrated by the collection as a whole. 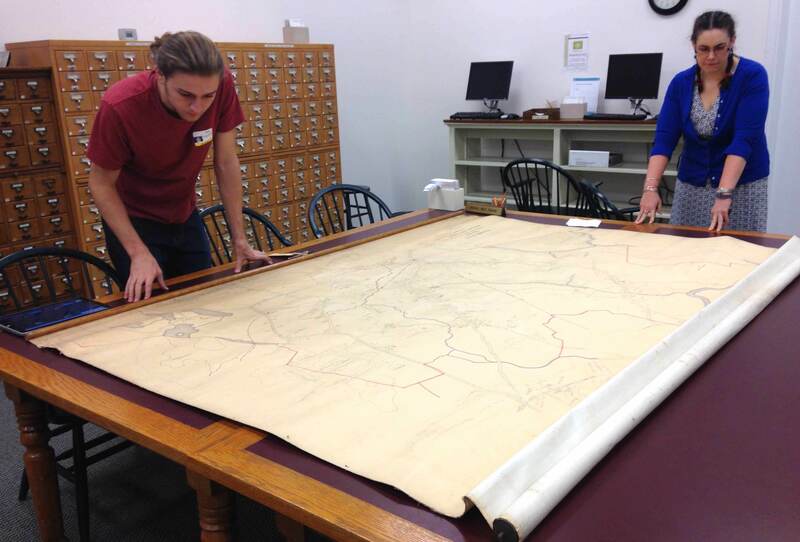 Salem State University students survey an area map. Courtesy photo. Intriguing examples of plants from the Victorian Era provide a window into the intellectual and cultural communities of Essex County. In the pigeonholes of the museum’s steel herbarium cabinets, we find a native strawberry plant (Fragaria vesca ssp. Americana) with fruit, dated June 22, 1882. 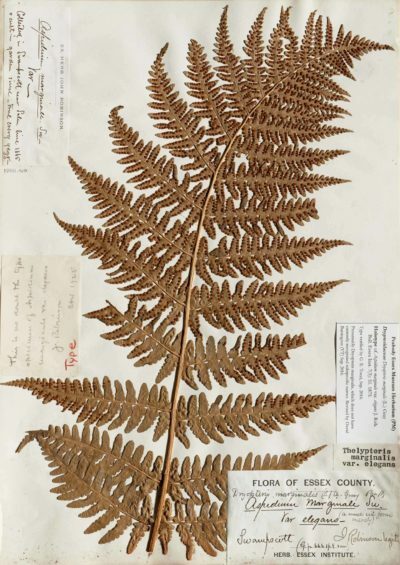 This specimen was collected, identified, pressed and preserved by the Reverend William P. Alcott, second cousin to author and poet, Louisa May Alcott. There are White Oak (Quercus alba) leaves in full autumn color, collected by John Robinson in Hamilton’s Chebacco Woods on November 11, 1874. 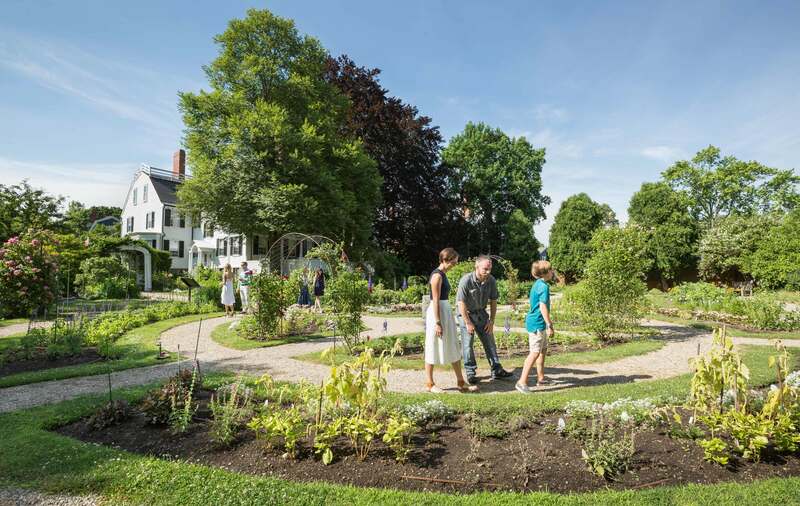 John Robinson, a Salem botanist and horticulturist, later designed the famous Ropes Mansion Garden, a PEM property that we can still visit today. Some of the many beautifully and painstakingly presented specimens were created by Mary Ellen Perley, a Boxford botanist and historian, never fully recognized in her own time, or yet in ours. Charlotte Nichols Saunders Horner (1823-1906) of Georgetown, the most acknowledged woman botanist of the period in Essex County, is represented in the collection as well. 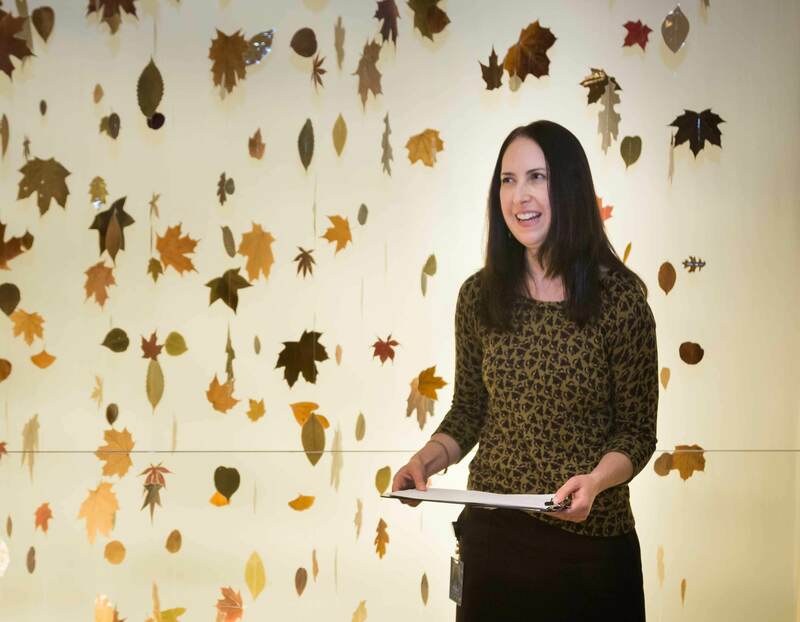 Genevieve Tocci, curatorial assistant at the Harvard Herbaria, recently took the first important steps to update the PEM herbarium, applying the most recent botanical names. 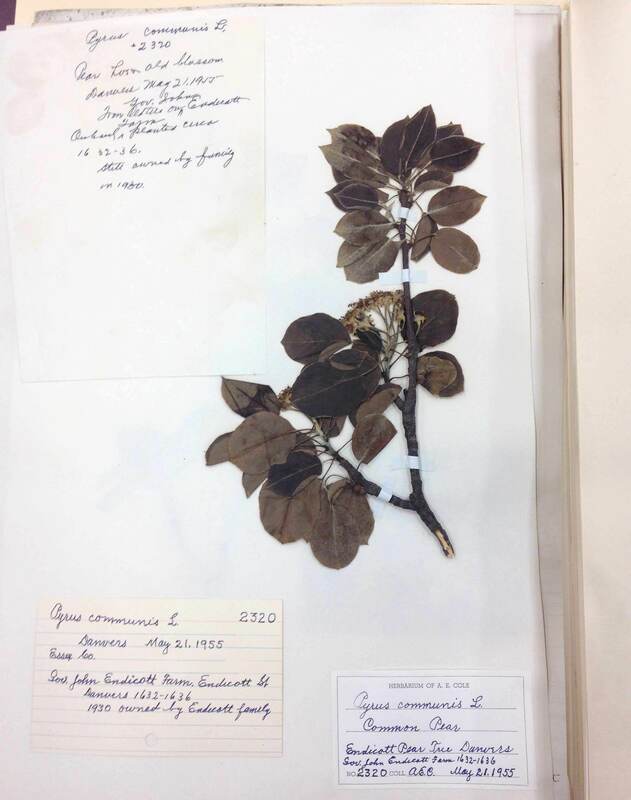 Some of the plant specimens are dated as early as 1807-1808, likely among the earliest botanical specimens collected in all Northeast America. I consider all of the 19th century botanists, whose carefully-crafted specimens I handle, to be colleagues across the ages. Through their outstanding work, they have given us a window to the past – and perhaps into our future. Digital and archival research, much of which has been undertaken in PEM’s Phillips Library, sheds new light on the lives of these scientific explorers. 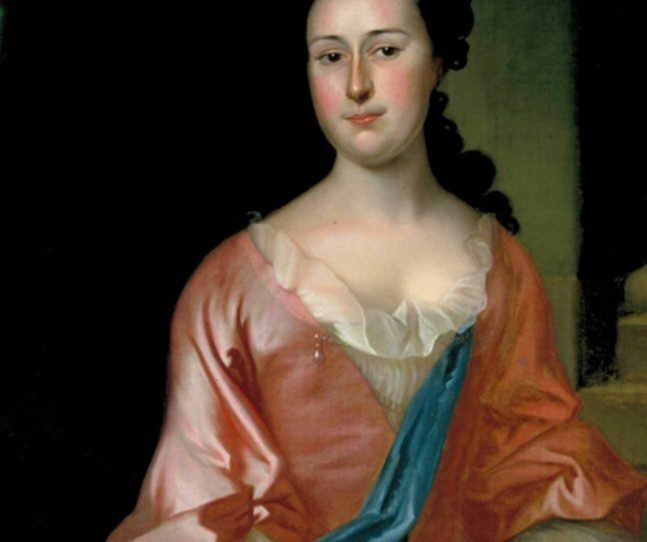 Botanical study provided women with a way to satisfy their desires for an intellectual life, and I see their interests and ambitions reflected in my own. Dr. Lisa Delissio, Ph.D. , is a professor of Biology at Salem State University.